JKCET 2019 Admit Card has been released. Jammu & Kashmir Common Entrance Test (JKCET 2019) is conducted to offer admission in various engineering courses. It is a state level entrance exam which is conducted once in a year. JKCET is organized by the Jammu & Kashmir Board of Professional Entrance Examinations. The engineering courses offered by the government and private institutions of J&K state. Admission into medical programme will be offered on the basis of NEET UG score. For more information on JKCET 2019, candidates should read the complete article. JKCET 2019 Admit Card has been released on 15th April 2019. Check here for admit card details. JKCET 2019 Exam Dates has been released. The examination will be conducted on 21st April 2019. The JKCET admit card 2019 is available online from 15th April 2019. The candidates are informed through a separate notification regarding the date for downloading of admit cards. The candidates are required to paste attested photo on the downloaded admit card at the space provided. Duration of Exam: 3 hours will be allotted for the complete exam. of Questions: 60 questions will be asked from each subject. Marking Scheme: 1 mark for each correct answer will be awarded. Exam Center: The entrance test shall be held at the centres located in the cities of Srinagar and Jammu only. JKCET (Common Entrance Test) is a state level examination which is conducted by the Jammu & Kashmir Board of Professional Entrance Examinations. Through this exam, candidates can get admission in engineering courses offered by various colleges in Jammu & Kashmir state. The syllabus of JKCET 2019 will be set from the 11th and 12th class syllabus. The contents for the syllabus of exam will be taken from the subjects as, physics, chemistry and mathematics. Candidates can study the complete syllabus for all subjects from their text books. Question: Is JKCET 2019 application form are available though offline mode also? Answer: No, the application form can be accessed only through online mode. Question: Is it necessary having date and name on the photograph? Answer: Yes, the name and the date of taking picture are necessary on the photograph. Question: Can appearing candidates apply? Answer: They can apply. However, such candidates have to produce their original marks card before or at the time of counseling/selection. Question: 12th exam JK board in 2017-18 got failed but cleared it in biannual exam 2018 (the same year). So, such candidates are eligible to give JKCET 2019? Answer: Yes, such candidates are eligible to give this exam. Question: Can other state candidates apply for this exam? Answer: No, other state candidates cannot apply for this exam. Question: What is the marking scheme for the exam? Answer: 1 mark will be allotted for each correct answer and 0.25 marks will be deducted for each incorrect answer. Question: What is the mode of exam? Answer: The exam will be conducted through offline (OMR based) mode. The JKCET answer key will be displayed on the website and will remain there for three days. The candidates those have any objection against official answer key, they are free to make written representation supported by documentary proof in the prescribed format. Candidates have to make payment of Rs .1000 at POS terminal at J&K BOPEE Srinagar/Jammu within three working days. The revised answer key will be uploaded on the website of the BOPEE. The result will be released through online mode. Candidates can view their JKCET result 2019 in the second week of May 2019. The result will be available in both the offices of the BOPEE at Jammu and Srinagar. The merit list for each course shall be prepared on the basis of inter-se merit of the candidates in the CET 2019. It is necessary for the candidates to obtain at least the minimum qualifying marks to be qualified. The selection of the candidates will be according to the preference for courses and the Colleges/Institutions indicated by them in the counselling form in order of merit secured in the CET. Candidates will also provide the opportunity to select course and college at the time of attending the counselling. Candidates have to present at JKCET 2019 counselling venue along with said documents. The final selection of the candidates in all the categories will depend upon the production of all the relevant certificates in original by the candidates and the verification of the same by BOPEE/College/ University. Below we have provided some important instructions to fill the JKCET application form 2019. The applications are invited for the eligible candidates through online mode. The online application form has been opened from 1st February 2019. The form filling process will be continued till 27th March 2019. Candidates have to upload the photograph, signature, left-hand thumb impression images in JPG/JPEG format. Candidates also have to upload permanent residence certificate, marks certificate (if the result is announced), date of birth certificate & category certificate (if applicable). The candidates can change/modify their application form at any time before they submit it. Once the form is submitted, it cannot be changed later. No need to submit the application to the board. The application fee is Rs. 1200/-. 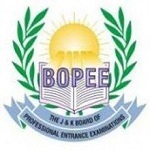 The candidates those fulfills the requirements of eligibility as prescribed by the BOPEE will be considered for admission. Subjects: Candidates must have Physics, Chemistry, Mathematics and English as their primary subjects. Sir I have submitted the form but I have entered wrong the date of issue of PRC ..
Now sir can I edit that and how ? You can edit application form through login before last date i.e. 27-03-2019. You can make correction only before the submission of application form in JKCET 2019. Please notify me when ojee form is released. Should i get an engineering seat.